Jonilda is a co-founder and has been executive director for two years in the Youth Center Borderless. 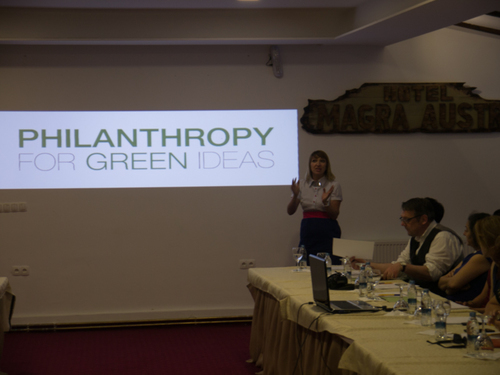 Under her leadership, the organization has developed several initiatives in the area of sustainable tourism such as Free Tour Albania project. Currently, she consults the development of NaturAlb Soaps Business. Prior to establishing BORDERLESS, she earned MA on Computer Engineering from Epoka University and was assistant researcher and lecturer for Computer Sciences. Jonilda has volunteered in various organizations working in tourism. She is currently working in Florida as graduate assistant. Following her passion on tourism, she enrolled master studies on Tourism Management. Biologist by profession, Havushe worked as a teacher before her family needs started to grow and she decided to launch a business that would be aligned with her profession. She identified aromatic and medical herbs in the near surrounding of her place of living, started to dry them and managed to sell them door to door and through local fairs. After she realized that there is a high demand for such products, Havushe has employed 15-18 women who come from families with social assistance and founded a social business, 99 Lule. Havushe wants to grow her business to be able to employ more women from the community since more than 80% of the families are social assistance beneficiaries. Rron founded Formon, a new startup with the team of 5 people. Formon designs and develops personal 3D printers. With strong educational and working background in architectural design, Rron has always had interest on how things work and how they are made. Passionate about design and technology, Rron has always been in pursuit of creating remarkable experiences through design and technology. He graduated from Eastern Mediterranean University in 2012 with a degree in architecture. 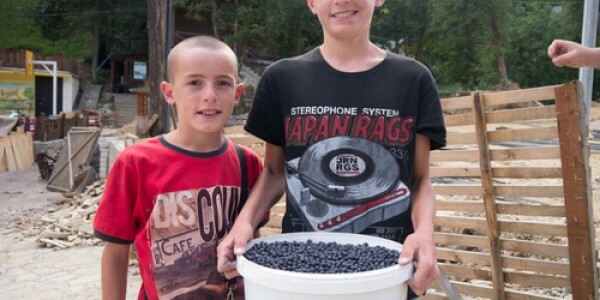 Ymer started his farm as a small family business. 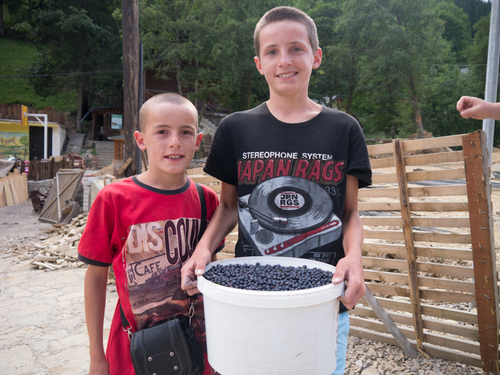 However, the company now has 7 people employed from the community, and operates in few communities in the southern part of Prizren. He worked as a farmer since 1975 but recently decided to start his own business. Ymer’s company currently owns 6000 chickens. He came up with an idea to use chicken droppings to produce biogas to use it for electricity and heating in this small farm. Ymer studied law, but his passion for farming is what led him to start his own business. 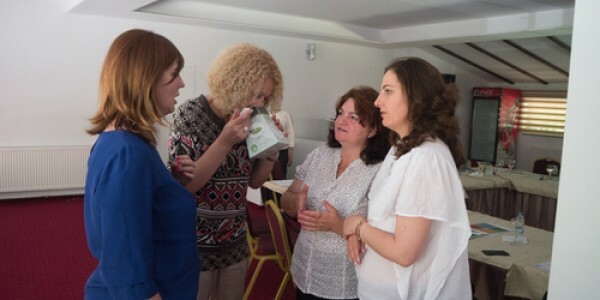 Biljana is co-founder and president of the managing board at the first organic food co-op of buyers in Macedonia, Good Earth. She comes from the business sector (co-owner and manager of a national consulting and of an international trading company). Her last working experience prior to founding Good Earth was in the Embassy of Macedonia in Athens as an economic attache. 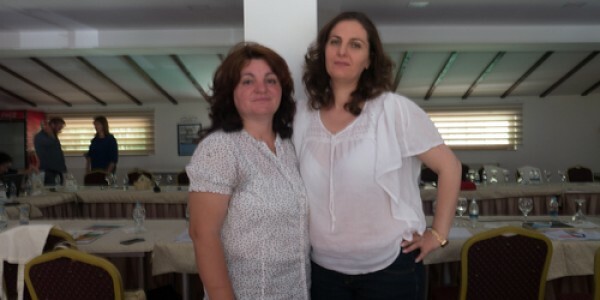 Biljana holds an MBA (Hellenic American University Athens) and BS in Marketing (American College Thessaloniki) which she acquired during her long years stay in Greece. Now she is dedicated full time to Good Earth and her engagement reflects her past experiences, motives in life and visions for sustainability, striving to create a meaningful core of values and activities for the distant future. Stevan works in the Municipality of Mojkovac as an adviser for international relations and cooperation with NGOs. As an environmental activist, Stevan received a number of recognitions for his community service works, among which "Ambassador of Environment'' awarded by the BELLS movement (Balkan Environmental Life Leadership Standards). 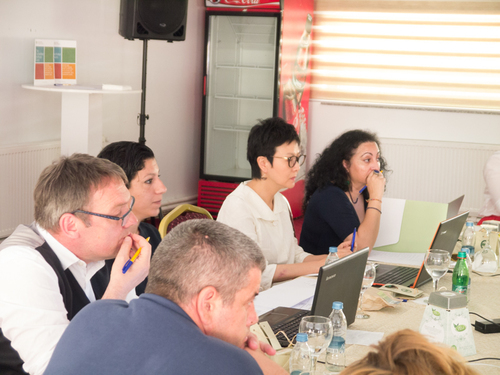 He has participated in developing and implementing a number of projects, including coordination of the "Green Agenda'' project for Mojkovac Municipality (the first and only green strategic plan in Montenegro). He is married to Jovanka Vujicic Grdinic and a father of two. Jonida has BA in law, MA in public administration and is a PhD candidate since November 2013 at Faculty of Law, University of Tirana. She is a lecturer of Competition Law at Marin Barleti University in Albania and thanks to her academic involvement she has participated in many national and international conferences and has published several articles at the Social Studies Journal and Geopolitics Journal in Albania. 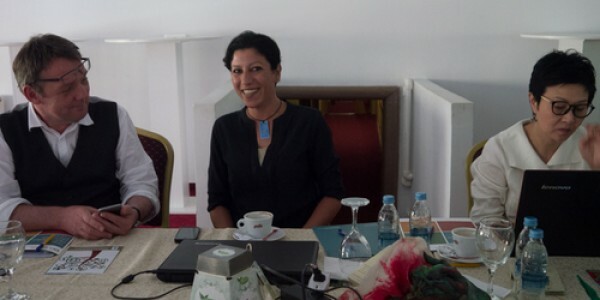 She has been director of Education at USA Advising Center in Albania since September 2012 and executive director at Youth Act Center since July 2013. Jonida is involved in many projects focusing on youth issues such as education, training, mobility, volunteering, environment, et al. Dejan Mitic graduated at the Faculty of Law, University of Nis, in 1999. At his young age (1995) he started to earn for living and has ten years of experience in export-import, customs clearance of goods, and logistics. From 2005 to 2008 he was director at Dinarius Nis Company and from 2008 to 2013 he was owned a construction company for finishing works in residential construction, which in the last year of operation numbered 14 employees. Together with 12 other enthusiasts and with a sincere desire to help his neighborhood, Dejan established the Association for Local Development Kamenica in 2008. He himself either have developed or coordinated 33 civil society projects and actions so far, including projects that have received international award for social integration "Erste Foundation" in Prague 2011, and national award "Places in the Heart" for the most positive citizens' initiative in Belgrade 2013. Aleksandar graduated from Podgorica Faculty of Political Sciences and is currently pursuing his master studies in sociology. One of his greatest interests is tackling social problems, especially those that affect countries in transition. Aleksandar is also interested in theory and practice of social movements. He is the founder of the first Community Garden in Montenegro and is utilizing his property to grow vegetable crops aiming to be a positive example to the rest of society. At the moment he works as a social worker with Roma population and helping them to establish connections with social institutions – the Center for Social Work and National Employment Agency and realize the right to family allowance, the right to free health protection or get an employment. Jasminka is one of the founders and president of the Association „Ambrozija“established in 2013. She is active in the field of environmental protection, sustainable use of natural resources, and climate change. Jasminka has been actively involved in civil society for more than 15 years, working as a volunteer and project manager of various environmental and sustainable development projects on local level, but as well as providing trainings fordifferentstakeholders on environmental issues, sustainable development and PCM. 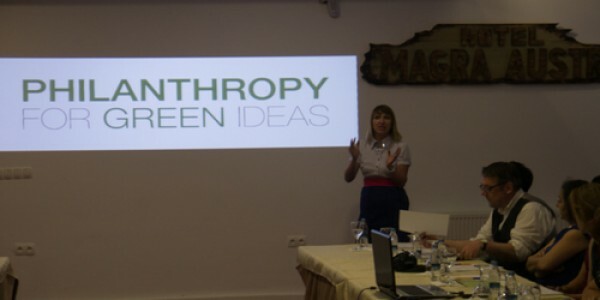 Since 2013, she is part of the project management team of the „Nature Conservation Program“in Macedonia, working as a coordinator for local activities in Pehchevo. Jasminka's university background is mechanical engineering. Maja is actively engaged for already 14 years in combating violence against women. She gained knowledge in the field of women's rights through programs such as Program on the Equal Status and Human Rights of Women Institute at the University "Raoul Wallenberg" in Lund, Sweden and International Training on Violence against Women in Golda Meier Center in Haifa, Israel. She attended the International Women Leadership Program, supported by State Department and trainings in the area of monitoring and reporting on women's rights organized by the International Women's Action, Minnesota Advocates for Human Rights. Maja is one of the authors of the first Study on Domestic Violence, conducted by the UNDP Office. 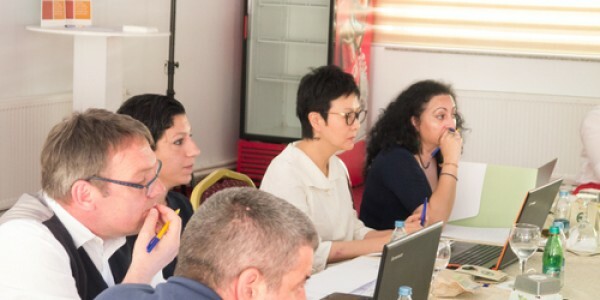 She was also UNICEF consultant in developing training curricula for Judges and Attorneys at Law on the rights of the child in civil law and administrative proceedings. 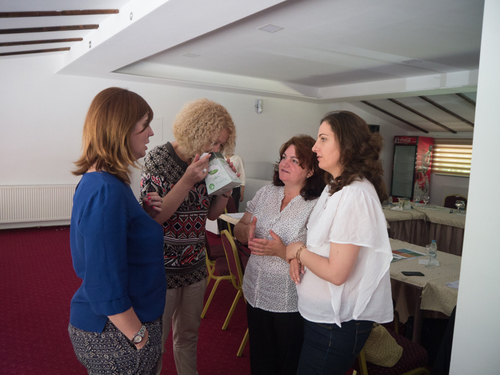 Additionally, Maja is one of the founders of the first NGO in Montenegro that defended an alternative report to the UN CEDAW Committee. Mila started business that deals with reparation, restoration, and recycling of wooden furniture a year ago. Together with a colleague, Sanja Andrejevic, she established ''Dve stolice i majstorice''. Prior to this, Mila worked with jewelry design, recycling leather, and experimented with other materials. She is advanced university student at Faculty of Philosophy in Belgrade, Department of Ethnology and Anthropology. Elena Santovac is an executive board member of the Equestrian club Arandjelovac. She become a club member as a recreational horse rider at the beginning of 2014. 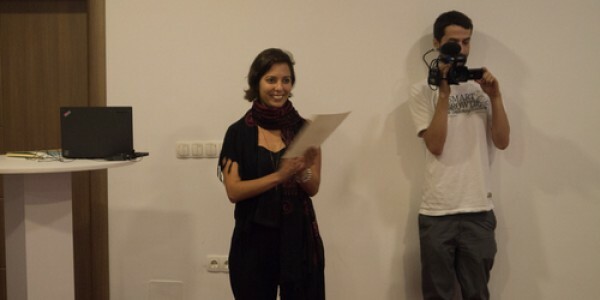 Shortly after joining the club, Elena became included in all of the club's activities (strategic plans development, ecological awareness development, sustainability issues). Her professional skills and knowledge include competences in the area of public health and vulnerable populations support projects. 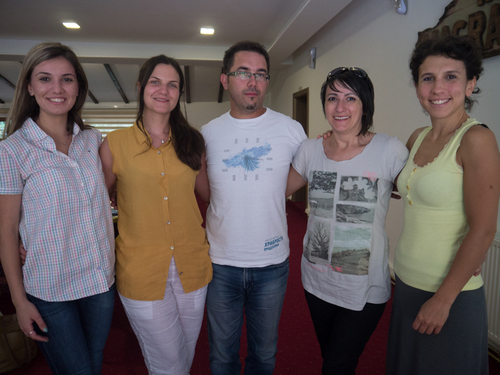 Besjana is a co-founder and Advisory Board member of the Albanian Ornithological Society (AOS). 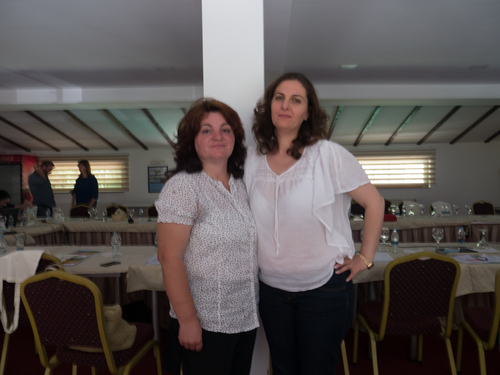 She is currently project manager of the "4 eyes 4 nature" project, funded by Partners for Change Albania. She greatly contributed to promotion of AOS mission, objectives and activities, its strengthened public influence, and expansion of the network of volunteers. 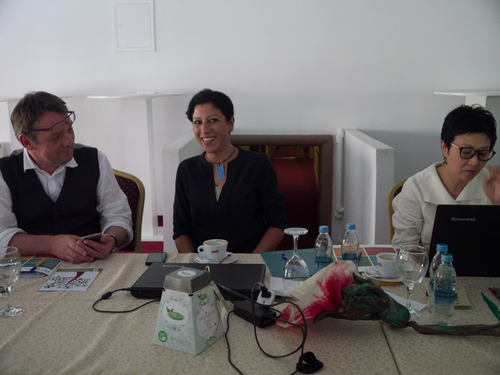 Besjana managed to bring innovation in spreading the message for conservation of nature in Albania, especially birds. 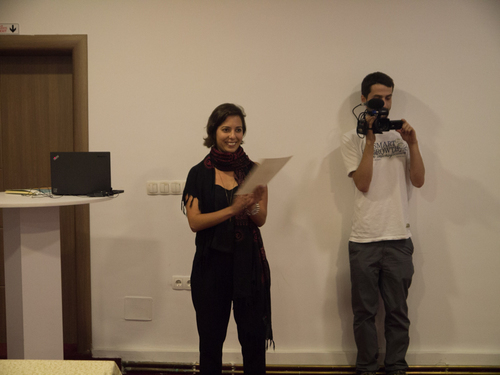 Besjana has volunteered previously with many civil society organizations, including GO2 Albania and TED talks Albania. She is urban planner, specialized in better integrating nature conservation into sustainable urban development. Zarko founded „Оur farm“, the first farm in Macedonia that produces healthy and organic hen eggs. He was born and currently lives in Skopje. Zarko graduated journalism and works as editor of the „Green Page“at „Nova Makedonija", the oldest daily newspaper in the country. He also implemented a two years television project titled „Profit“ and has worked in the field of public relations and environmental protection.